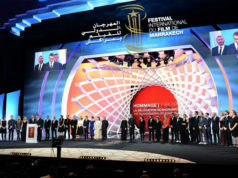 Marrakech’s International Film Festival has awarded American Hollywood superstar Robert De Niro the Golden Star. 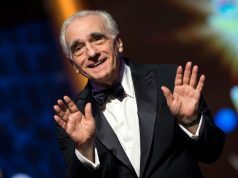 Rabat – Paying a homage to the legendary actor, director and producer, the festival honored yesterday De Niro with the prestigious Golden Star in tribute to his outstanding acting career. 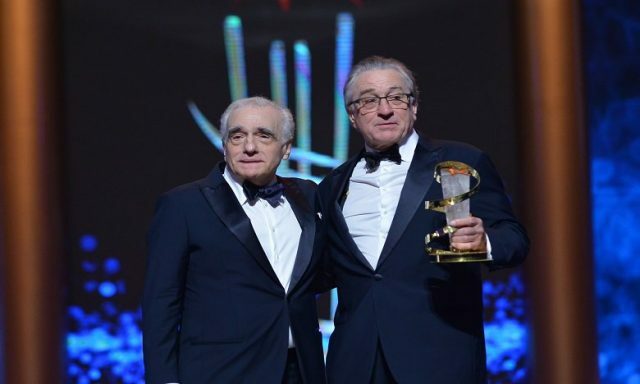 A friend and a colleague, Martin Scorsese handed the star to De Niro. Delighted at the homage, De Niro gave a rousing acceptance speech in which he denounced President Trump’s policies. The speech was greeted with a standing ovation. The 17th annual film festival opened on Friday, November 30. Stars like Guillermo Del Toro, Robert Pattinson, renowned French film director Agnes Varda, and Egyptian divas Laila Eloui and Youssra are among the Marrakech event’s illustrious guests. 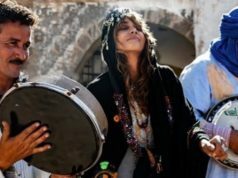 Moroccan celebrities, including film directors and producers, musicians, photographers, actors, and designers are also taking part in the renowned film festival. 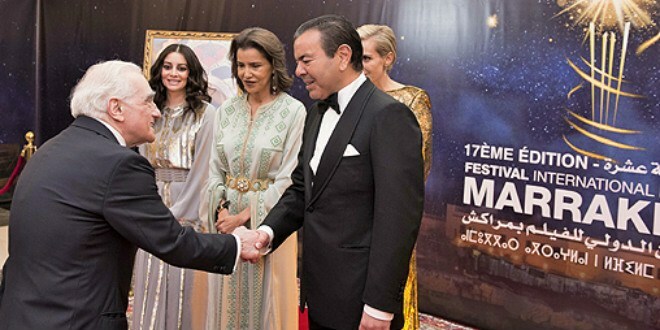 On Saturday, Prince Moulay Rachid , who is also the President of the Foundation of Marrakech’s film festival, chaired a dinner offered by King Mohammed VI at the Palais des Congres in Marrakech. The prince was accompanied by his sister Lalla Meryem and his wife Princess Lalla Oum Kalthoum. 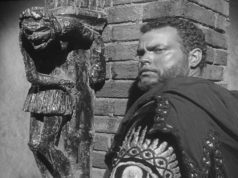 The Prince also paid tribute to renowned actors attending the festival.